I’m thinking of the essentials, not the habits or inconsequentials. -With these very important matters on the altar, why would you give them less than your best attention, and why would you think that you’re as good as can be? No room for improvement, study, or realignment? I have recently received two different mails with these pictures. The senders say these are pictures of Muslims marching through the streeets of London during their recent 'Religion of Peace' demonstration. "But of course the Wesleyan “experience” in discernment does not mean just anything one happens to have experienced. It is about how the Spirit enables us to reflect upon and utilize our life experience in decision-making – like the Quakers’ Inner Light. Jackie Leach Scully, a Quaker and biomedical ethicist, speaks of “pay[ing] attention to intuition and gut feelings, not holding that they are always right but believing that they can be pointing towards something I’m aware of at some level but overlooking.” Our own experience may also set us up for mistakes. The Talmud allegedly says, “We don’t see the things the way they are. We see things the way WE are.” Scully goes on to say that she also seeks collective discernment for weightier matters." Major Dr Harold Hill, teaching at Wellington Theological Consortium Colloquim. "Another contemporary guru is Daniel Goleman, originator of the concept of emotional intelligence, or EQ. His research shows that leaders’ EQ is twice as important as their cognitive skills for the success of commercial enterprises – a scientific measurement befitting the appeal to Reason. 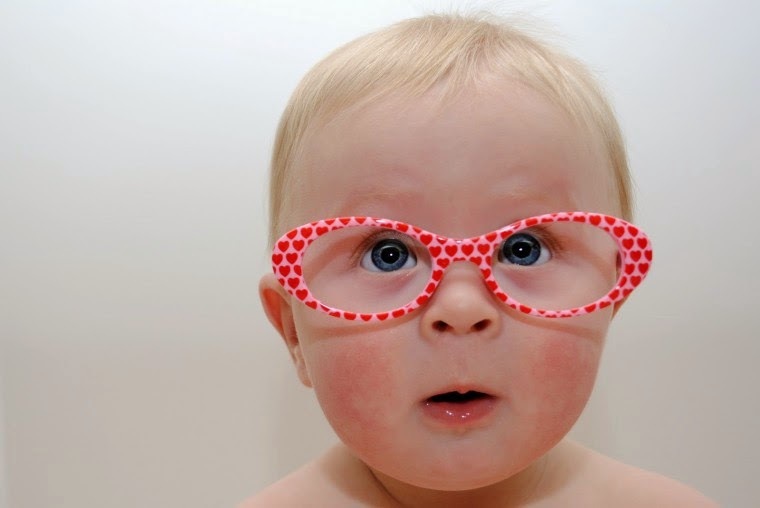 According to Goleman, the ingredients of EQ are self-awareness, self-regulation, motivation, empathy, and social skills. All of these, beginning with that self-awareness or sōphronein enjoined by St Paul in Romans 12:3, are Christian virtues highly desirable in leadership. Their absence makes more likely the abuse of power and the distortion of Christian leadership." "An early Salvationist saint, George Scott Railton, was ambivalent about the establishment of a hierarchy, particularly the appointment of Divisional Officers (creating episcopal oversight) in 1880. After a year he wrote that he’d been wrong and that the “officers and people evidently love and delight in their Majors!” Bramwell Booth had second thoughts. In 1894 he complained that “the [Divisional Officers] are often much more separate from their [Field Officers] than they ought to be. Class and caste grows with the growth of the military idea. Needs watching.” Thirty years later he was still watching, concerned that Divisional and Territorial leaders “are open to special dangers in that they rise and grow powerful and sink into a kind of opulence…”"
"Firstly, all leadership may be distorted because leadership involves the exercise of power and, as Lord Acton so famously wrote, all power corrupts. And he might have added, even nice people! Power is like steroids taken by an athlete; it may enhance performance in the short term but exacts a long term cost. So is Christian leadership the same as any other kind of leadership or is there distinctively “Christian” stuff involved? And will there be some particularly Christian flavour to its distortion? The standard analysis asks who benefits from power and who suffers from it, but I’ll take another tack. All leadership requires discernment, so I’ll invoke the process for discernment through Scripture, Tradition, Reason and Experience, known as the “Wesleyan quadrilateral” – Salvationists being Wesleyan. I acknowledge that for Anglicans the fourth element is not Experience but Episcopacy, which for Catholics is inseparable from Tradition anyway, but please bear with me. I’ll use the Wesleyan Quadrilateral simply as a framework upon which to hang some cautionary anecdotes." The monopoly of the sacramental function became the distinctive mark of the emergence of priesthood in Christianity. 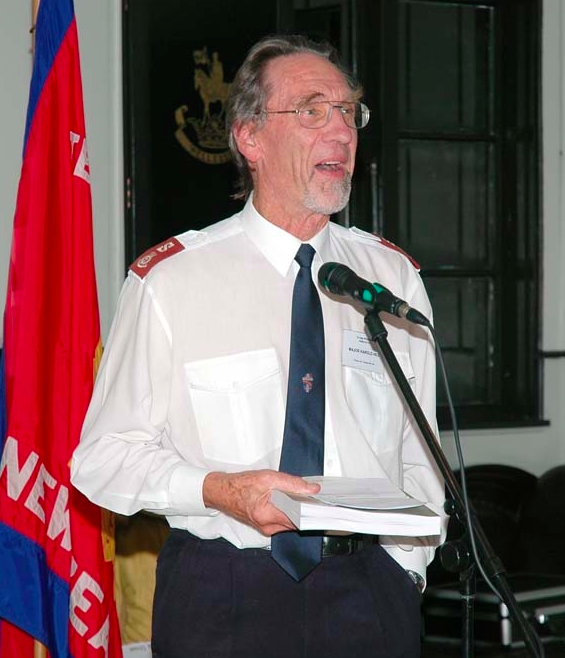 The Christian Mission and, until 1883, the Salvation Army, practised infant baptism and celebrated the Lord’s Supper, and it is apparent that officials of the mission led these rites. The discontinuance of the practice could also have implications for the “clerical” role of officers. Booth’s explanation in The War Cry simply said that (1) sacraments were not essential for salvation; (2) that if he insisted on having them there would be “grave dissensions” within the Army; (3) that the Army was not a church; and (4) that the question could be left until we shall have more light on the subject. (5) In the meanwhile Salvationists were free to take the sacrament at other churches, and (6) should feed on Jesus continually and ensure they had been baptised with the Holy Ghost. (7) Finally, having warned against dependence upon mere forms, he announced a form of service for the dedication of children. Additional reasons subsequently offered, in addition to the dangers of formalism and contentious Biblical hermeneutic, have included the danger of strong drink to people converted from drunkenness, avoidance of controversial subjects, resistance to women administering the sacraments, the avoidance of anything smacking of a separate priesthood and the value of a distinctive non-sacramental witness. David Rightmire’s study goes behind these presenting arguments and places the Army’s early theology in the context of Victorian society, the Wesleyan revival and the nineteenth century holiness movement. He makes the point that by the mid-19th century Wesleyanism had lost touch with its founder’s sacramental theology, maintaining the forms but subordinating other means of grace to the Word. The American holiness revival teaching of Caughey, Finney and Phoebe Palmer, already mentioned, also “emphasised a pneumatological ecclesiology that needed little continuity with historical institutions.” Rightmire’s argument is that once the Booths’ “Holiness” or “Second Blessing” theology was fully developed, it provided a spiritualised substitute for sacramental theology. It is interesting to compare the course of The Salvation Army’s relationship with the Church of England with that of its Wesleyan original. Methodism grew out of the established Church and the question was whether it could be contained. Salvationism was an independent entity and would have had to be grafted on to the Anglican stock – a more difficult exercise. With Methodism, the preachers, who had not hitherto been permitted to officiate at the sacraments, assumed this role. Salvation Army evangelists and officers, who had enjoyed this privilege, relinquished it. 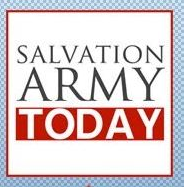 The history of the Salvation Army also illustrates the maxim that if the sacraments did not exist it would be necessary to invent them, to adapt Voltaire. Forms and ceremonies have been substituted. The Directory or catechism for children in 1900 set out “The Army’s Five Ordinances” as (1) The Dedication of Children, (2) The Mercy Seat, (3) Enrolment under the Army Flag, (4) Commissioning of Officers and (5) Marriage according to Army rules.” To these might be added the uniform (surely “an outward and visible sign of an inward and spiritual grace”, as well as the nearest the Army comes to a medium for excommunication), and the recent practice of “installing” officers in certain commands. All of this also indicates that although sacramental observances are usually taken as the initial catalyst for the process of clericalisation in the Church, the Army’s clericalisation gathered momentum after their abandonment (apart from the substitute sacraments described above), suggesting that clericalisation is a sociological process independent of a theological base. 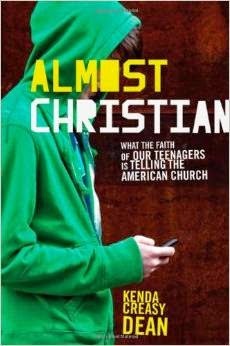 "The problem does not seem to be that churches are teaching young people badly, but that we are doing an exceedingly good job of teaching youth what we really believe; namely, that Christianity is not a big deal, that God requires little, and the church is a helpful social institution filled with nice people focused primarily on ”folks like us” – which, of course, begs the question of whether we are really the church at all. What if the blasé religiosity of most American teenagers is not the result of poor communication but the result of excellent communication of a watered-down gospel so devoid of God’s self-giving love in Jesus Christ, so immune to the sending love of the Holy Spirit that it might not be Christianity at all? Media War: Where Are All the Hamas Fighters? - CBN News - "In all of the disturbing and emotional images coming out of the Gaza fighting, one major issue that no major media outlet asks about is missing: Where are those fighting for Hamas? For more than a month, Israel's efforts to stop Gaza rocket fire and destroy Hamas tunnels has made headlines and led newscasts around the world. Two images dominate the war between Israel and Hamas. One side is Israel's military actions, like airstrikes, artillery, and ground troops. On the other side, video of Palestinians suffering, wounded, or killed in those military actions. But according to CBN News Senior International Correspondent George Thomas, the Hamas fighters are noticeably absent." Tanya, a well-known and well-respected psychiatrist. A man, whose family was German aristocracy prior to World War II, owned a number of large industries and estates. When asked how many German people were true Nazis, the answer he gave can guide our attitude toward fanaticism. peace-loving Muslims have been made irrelevant by their silence. allows the problems to expand. and we are silenced because we were silent!!! - Dr. John Sullivan in FSAOF - "Although not written in direct response to our series on the fragmentation the new female Swedish archbishop Antje Jackelén is causing, Dr. Sullivan's article, No Other Name, begs our attention and reflection on the truth of the Scriptures. Antje refused to take a position between Jesus and Muhammad’s relevance to the Swedish church during her hearing before the Archbishop's selection board. She was backed by a clear majority of the 324-strong ecclesiastical college." - Sven Ljungholm i FSAOF - "Antje Jackelén, a German born Lutheran theologian and Swedish church official, distanced herself from the three ancient creeds that the Lutheran church recognize as accurate expressions of Bible teaching These were developed by Christians during the 500 years which followed our Lord's ascension into heaven. It’s taken Jackelén less than 20 years to refute five centuries of what constitute the Lutheran canons: the Apostles' Creed, the Nicene Creed, and the Athanasian Creed. Yet, in the autumn of 2013 she was elected the new archbishop of the Church of Sweden."